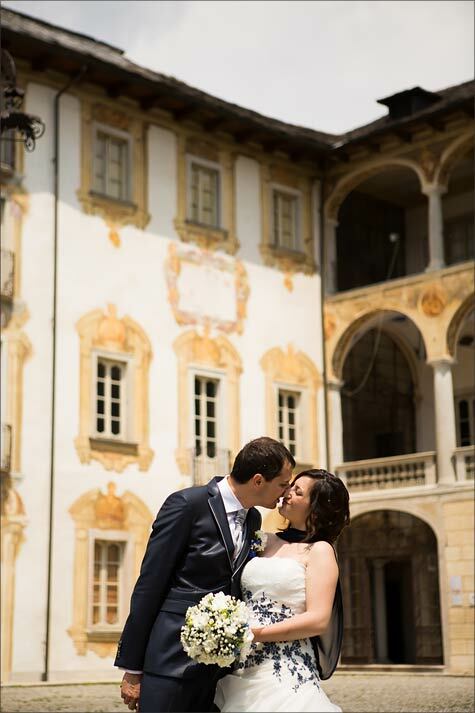 wedding to Villa Pestalozza on Lake Orta means elegance and exclusivity. A touch of vintage romanticism like a leap in the past. 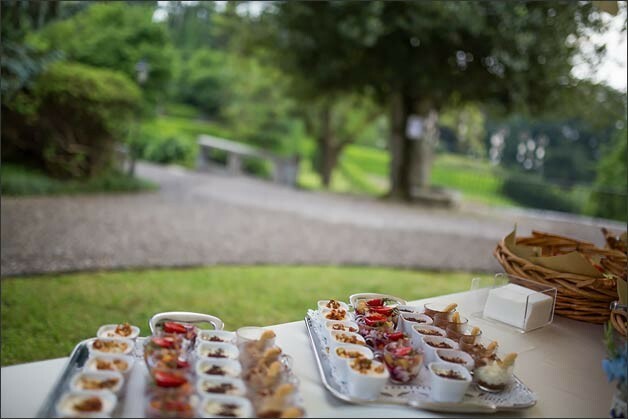 A warm and homely atmosphere in the green hills overlooking Lake Orta. We chose Villa Pestalozza because we fell in love with it. 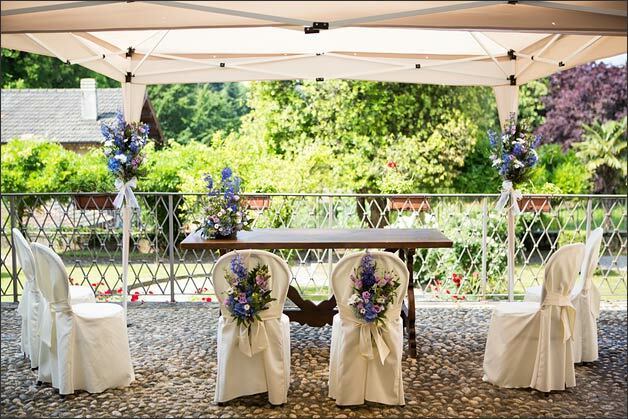 It has a wonderful park, reception pavilion (pergola) has a fantastic view over Lake Orta. You can really breath history here. 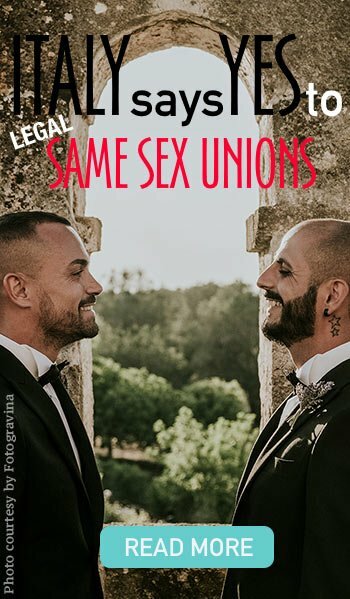 It was just right for us and for our wedding. 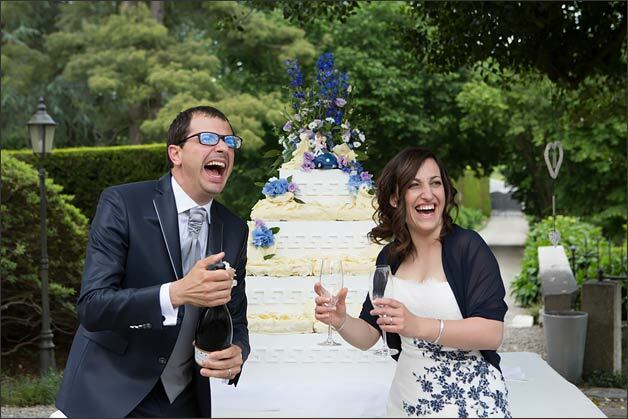 Valentina and Marco got married on May 30 2015 on a wonderful Spring day.They met 3 years before by chance…on Facebook. They both love science fiction books, sport cars and motorbikes. They got friend quite easily, via chat, then on the phone. They had a great feeling even before meeting in person. 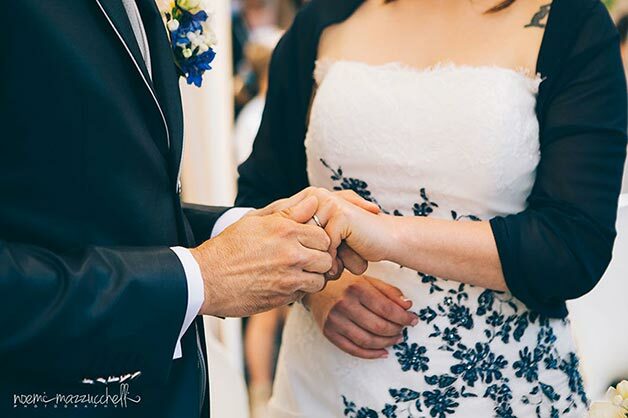 It was love at first sight….their love and passion grew up to the most important day of their live: their wedding day! Our relationship was so strong that wedding was an easy and natural step for us. 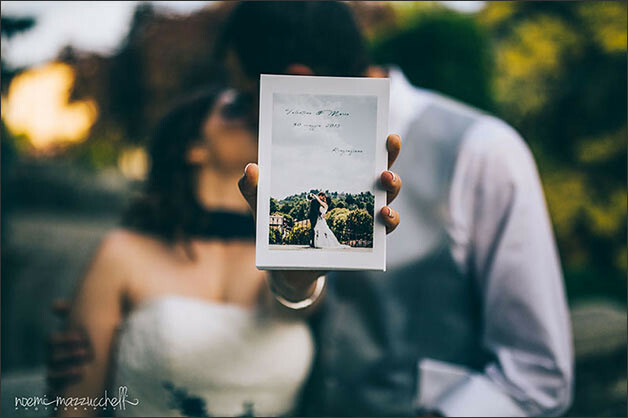 Nine months to plan everything to be perfect. 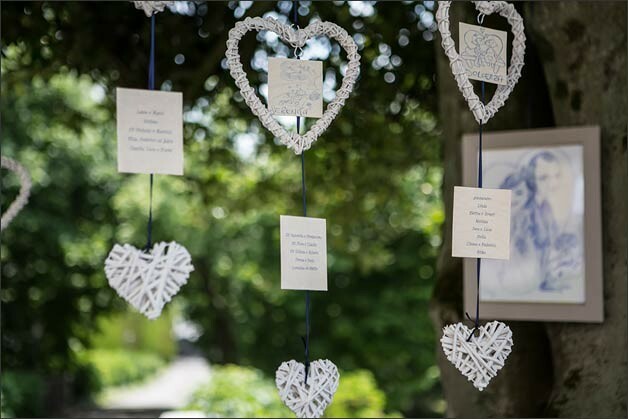 30 May was the day to tie the knot and celebrate it with our friends and family at Villa Pestalozza on Lake Orta. 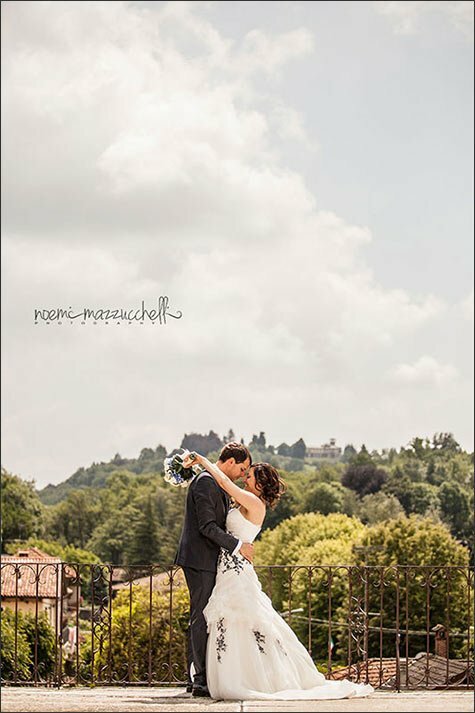 For their wedding photos they immediately chose Noemi Mazzucchelli, Valentina’s friend. 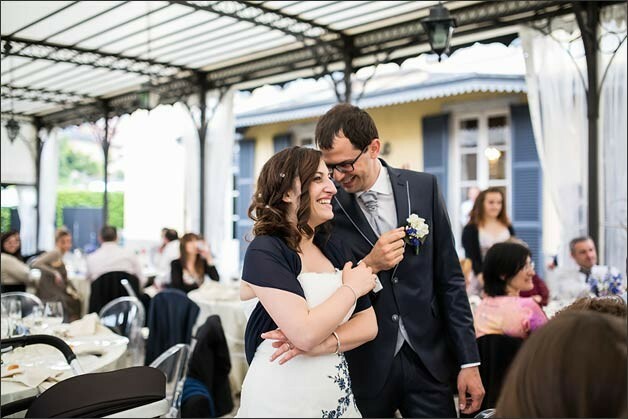 Noemi is a young and very good photographer with a lot of experience. 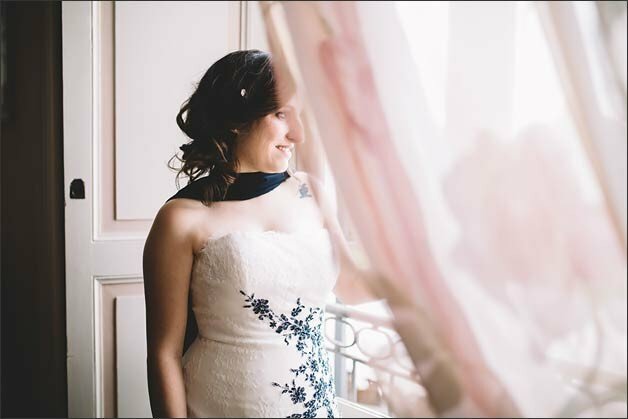 Well, Valentina told Noemi that she would have chosen her to be her photographer on her wedding day…and so it was. For their civil ceremony Valentina and Marco chose Palazzo Sperati an ancient villa that is now owned by Miasino municipality to be the local town hall. Palazzo Sperati is located just few steps from Villa Pestalozza and has a wonderful courtyard to celebrate an outdoor ceremony. It was very romantic. 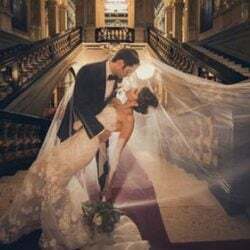 Valentina was beautiful in her original wedding dress. My wedding dress is a Nicole – Jolie model dress. I simply loved it since the very first time I saw it. I was looking for something original and not too conventional. I wanted the dress to me very me! For their floral arrangements Valentina and Marco chose La Piccola Selva floral designer. 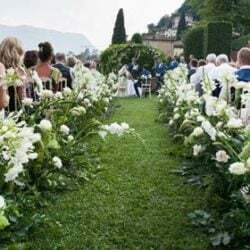 A long experience to Palazzo Sperati and Villa Pestalozza for La Piccola Selva Floral Designer made this choice a winning one! 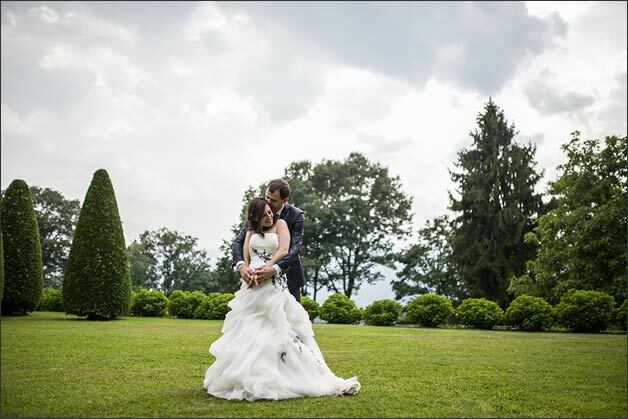 Valentina wanted a country chic theme to match venues she chose. 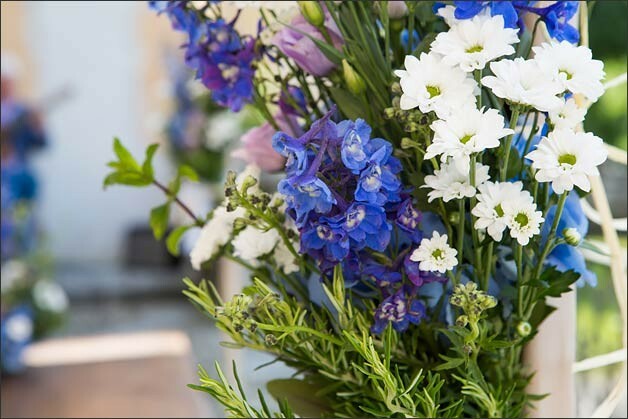 She wanted meadow flowers, daisies, hydrangeas and a touch of aromatic herbs. 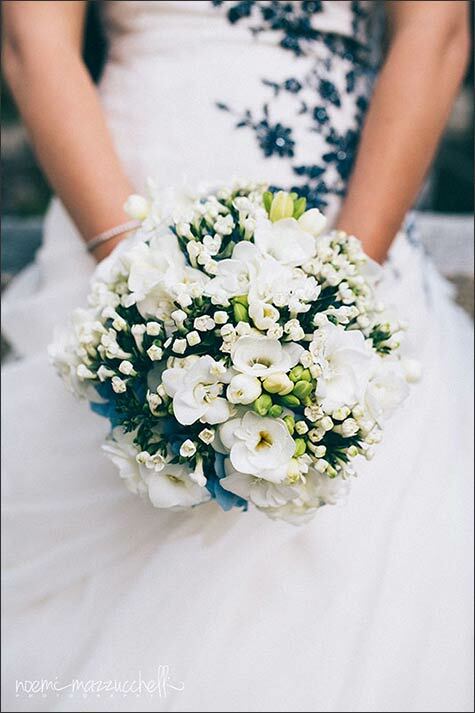 For her bridal bouquet Valentina chose a round shaped one. 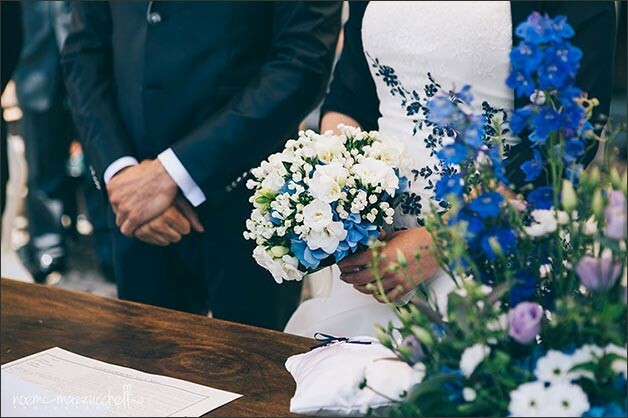 It was made with white fresias, bouvardias, with a touch of blue hydrangeas to match light blue embroidery on her wedding dress. it was very scented! 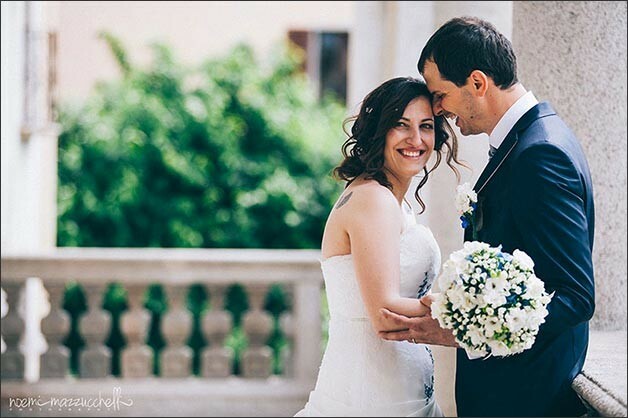 After the ceremony bride and groom moved to Villa Nigra, another fantastic villa located in Miasino village. 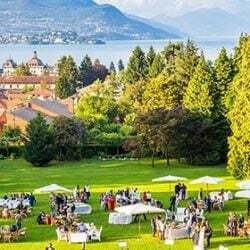 it was just perfect for their wedding photos, while guests moved to Villa Pestalozza to enjoy a rich welcome aperitif in the park. 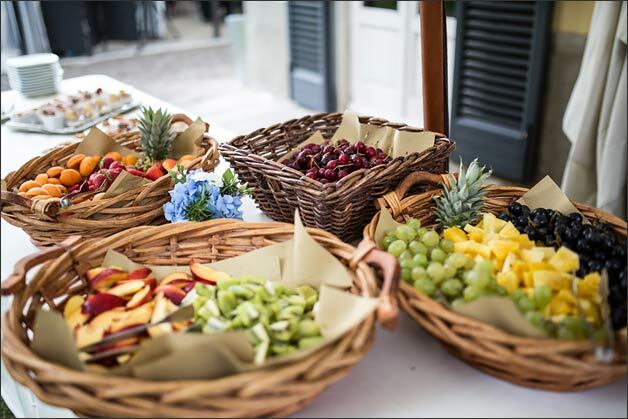 A special mention to Delicatezza A Casa Vostra caterer for an excellent service. My guests keep on talking about how good meal was. They were welcoming and kind and they helped us to choose the best dishes. It was an unforgettable reception! Floral arrangement at Villa Pestalozza were country chic style too. 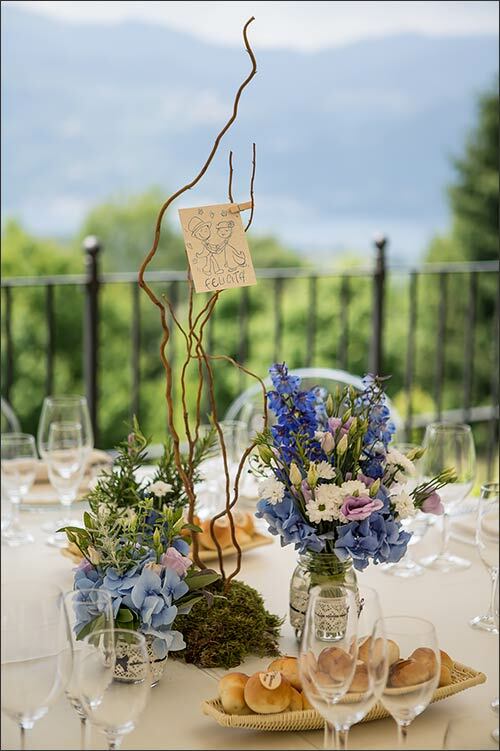 La Piccola Selva Floral Designer created special compositions on a base of muss and hazelnuts branches that acted as table name sign. 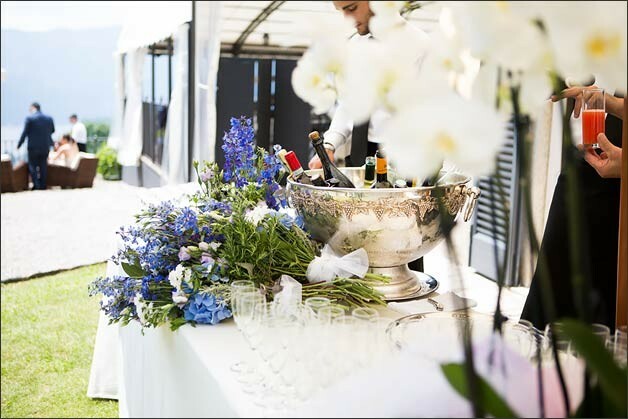 They also placed some centerpieces made with glass vases, meadow flowers and aromatic herbs. After wedding breakfast under pavilion overlooking Lake Orta, guitarist Ezio Lucchini played some music for the group. 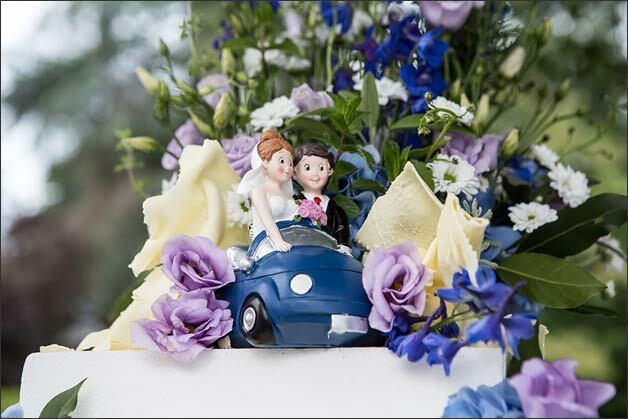 Time for the wedding cake: a magnificent 4 tiers wedding cake for Valentina and Marco! 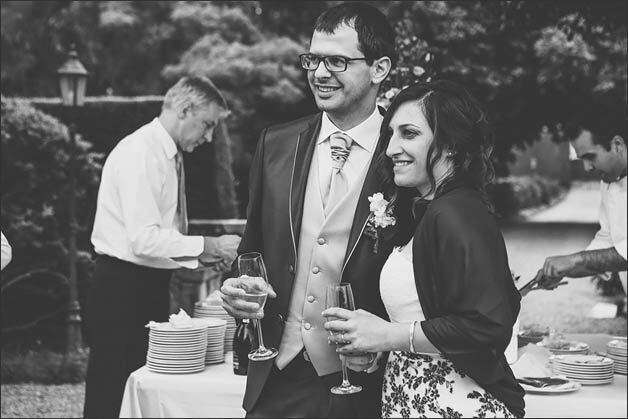 Right after Noemi Mazzucchelli took bride and groom for a nice walk in Villa Pestalozza park for some great wedding shots and then down to the lake shores for a magical fireworks show! 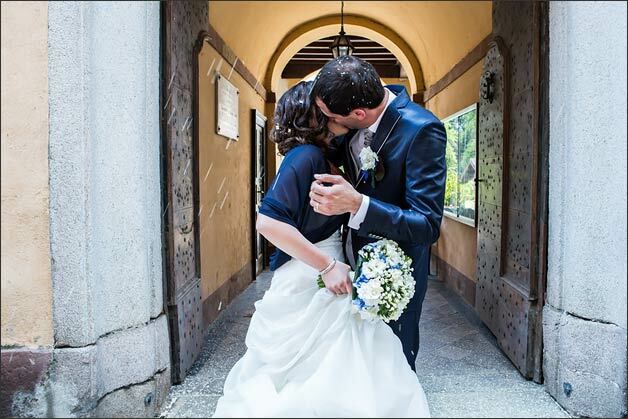 What a great day for Valentina and Marco! Our love story was sweet and wonderful, so far. 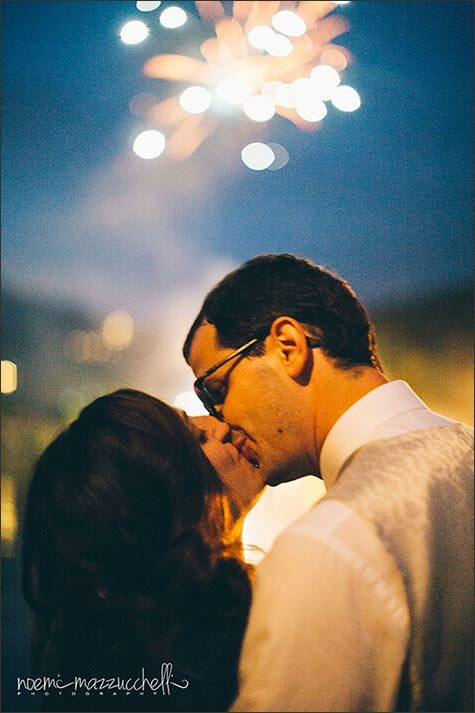 We hope it will be always like this, especially now that we started the year with a wonderful news! 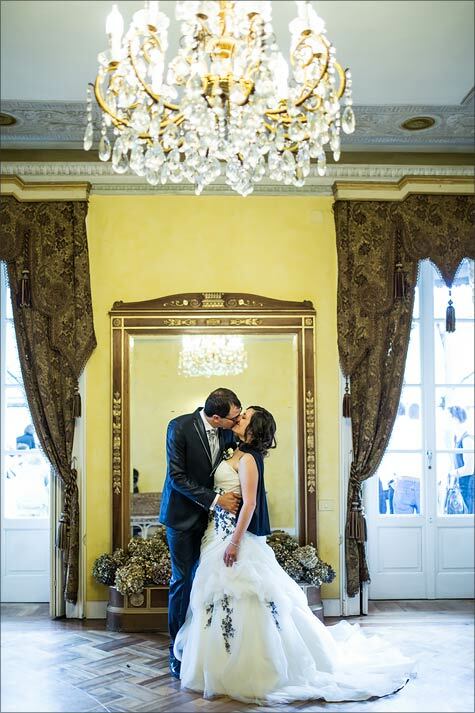 A special thanks to Noemi Mazzucchelli for giving us great pictures of this wonderful day. 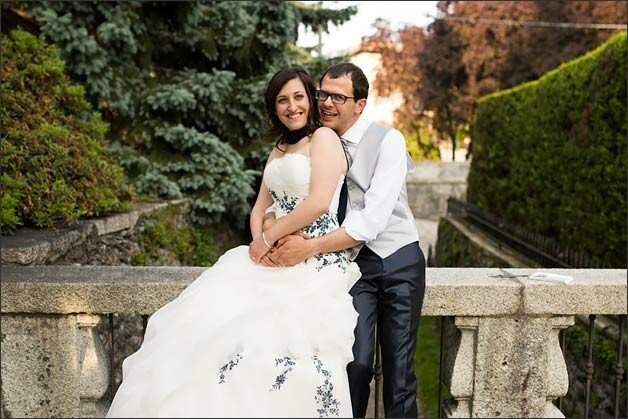 A very special thanks to Valentina and Marco for sharing their love story with us… with a grand final at Villa Pestalozza on Lake Orta! 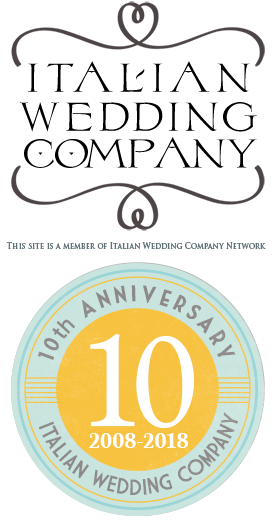 ← Honeymoon in Italy? 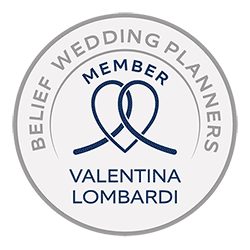 Italian Wedding Company’s new partnership with a honeymoon planner expert!